Sister was a true Arizona pioneer. Overcoming tremendous hardships, she spent over forty years teaching in rural one-room schools in southern Arizona. She homesteaded ranching property in the 1930s, doing all the work herself on weekends and teaching during the week. Sister published four books based on her life experiences. 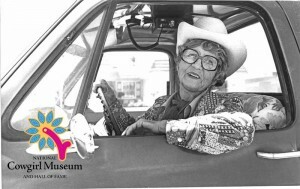 She was named 1973 Arizona Press Woman of the Year, honored by the Arizona Historical Society and named Outstanding Arizona Author.